That’s the way most conversations begin for a group of my high school friends who get together at least once a month for some laughter therapy. 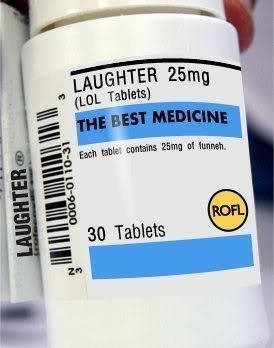 We don’t really plan it as “medicinal”, but the feeling of total relaxation after we whoop it up for an afternoon is a testament to the stress reducing properties of laughter. That same friend accidentally maced himself while driving a borrowed car. He thought the innocuous little can on the passenger seat was breath spray. (Ha, Ha, giggle, snort.) Oh, and there’s also the time he had to drive his riding lawn mower to church because his children had taken all the cars.Then there’s the classmate who accidentally dropped a contact lens into the potato salad at a church picnic. It never was recovered. Let’s face it, life can be pretty funny. These stories are valuable little gems we carry in our memories to be pulled up when the world crowds in on us. And each time we get together, we get to add new “stupid people tricks” to our repertoire. There’s a great story about American journalist Norman Cousins who came down with a fatal illness and was given one month to live. He checked out of the hospital and into a hotel where he treated himself with megadoses of Vitamin C, chased with hours of laughter induced by old Marx Brothers films. “I made the joyous discovery that ten minutes of genuine belly laughter had a healing anesthetic effect and would give me at least two hours of pain-free sleep,” reported Cousins. Long story short, he went on to live for 26 more years. Look, we have split the atom to the nth degree, put men on the moon and mapped our DNA, but no one has figured out how to give us laughter on demand. Personally, I always get a kick out of America’s Funniest Videos. With Rebel and Lucky Dawg at my side we laugh hysterically – even Rebel who is a bulldog with a perpetual scowl. 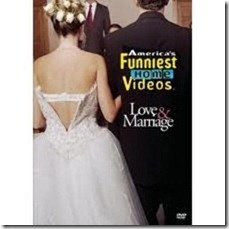 We especially love the clips involving pets, small children and people falling down at their weddings. Ha. Ha. Ha. Cares forgotten. 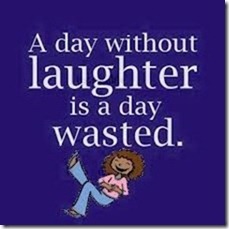 Be forewarned, laughter is highly contagious and can add years to your life. I guess that makes us about 125 years old! Emily you ALWAYS brighten my day. I so agree with you about laughter, I would rather laugh my way through life than grump my way through. I love to get so tickled that tears stream down my face! 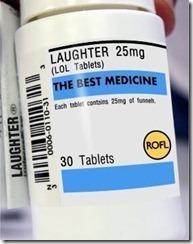 My life sustenance system (lots of faith, humor & B12) is enhanced via your enjoyable articles. Thanks.